With Capricorn, the Sun began its northward climb in the sky. Now, in the middle of winter, the seasonal light of Aquarius tells us that the days are getting longer every day. This brings hope of a brighter future! This optimistic state of mind enables many individuals to go beyond the rational, sense-thinking of Capricorn—to focus on “what we wish to be”! This is the time to meditate, tune into one’s intuition, review the knowledge received from our past experiences—and then invent and formulate the ideas that will serve us in the future! 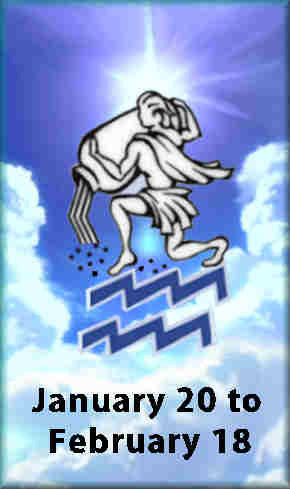 It is the fixed-air of our friends with an Aquarius Sun, that will keep us all focused on these tasks. The ruling planet of Aquarius is Uranus. It represents the higher octave of Mercury, i.e., the higher consciousness or intuitive component of the mind. (Ancient astrologers believed that water was the “conductor of consciousness” and that is how Aquarius became known as “The Water Bearers”.) Uranus reigns over inventions, reforms, electricity, television, radio and the internet. I.E., mass communication. Aquarius is the ruler of the calves and ankles, the part of the body that carries individuals forward, to catch the dreams that they have formulated in their heads. Watch how their calves fly to the front, and how their feet rarely touch the ground—as they skip across the land like a hovercraft. Celebrities with Aquarius Suns appear to be statically charged, since every gesture seems to emit a bluish electrical spark. Watch how the ballooning eyelids blink “inward from the sides” as the twinkling eyes focus on some distant point in space. The seasonal light of Aquarius is more obvious in Jennifer Aniston, star of the TV show Friends. 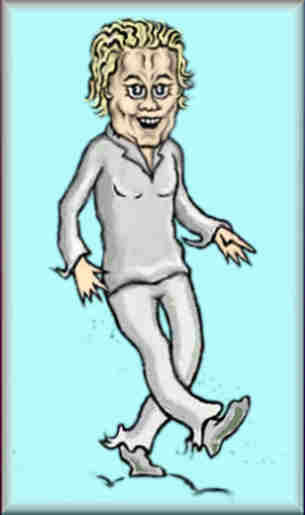 This is due to the extra dose of Air and Fire she has in her other key components. Her Sagittarius Moon injects an emotional need to be free from any attachments. while her Libra Rising helps to keep her energies in balance. Bill Maher, like most Aquarians, says whatever pops into his head. Libra rising allows him to see both sides of any question. However, the fixed Earth of his stubborn Taurus Moon keeps him struck on the left side of the political aisle, since that is where he feels comfortable. James Spader has Virgo Rising. As we saw in his role in Boston Legal, he was capable of dealing with the smallest of details. With his Gemini Moon, he became noticeably chatty when he got emotional. These analytical and intuitive qualities also appear in his character in the TV show Black List. 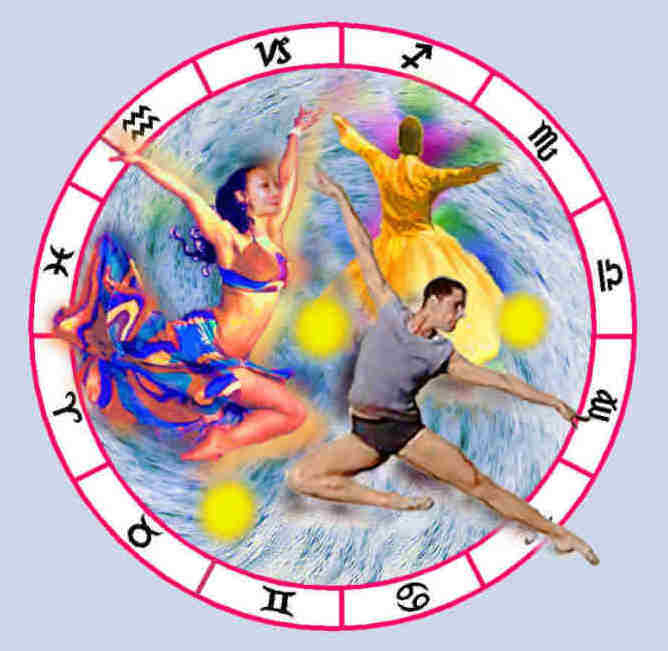 Uranus aspects both his Sun and Moon, so James displays much of the chill of Aquarius. Cybill Shepherd is best known for her role in the TV show Moon Struck. Her Virgo Ascendant provided her the deductive skills for her detective role. The comedy came from the contradicting energies of her Pisces Moon, which often left her wandering off on some aimless pursuit. It will be our intuitive Aquarius friends, who will reveal the importance of our collective wishes, so that we can counter the self-centered desires of Leo (the opposite sign on the Zodiac wheel) and make things work for all of us. Next month, when the Sun enters Pisces, many will discover that they are being moved and guided by currents greater than themselves. There (as individuals receive their earned rewards from others), many will be inspired to pursue a new array of creative dreams. These desires will be ignited with the coming season of Spring.